We are pleased to announce that our client Inada USA has once again been named to the Inc. 5000 list. This honor also comes during the company’s tenth year in business. 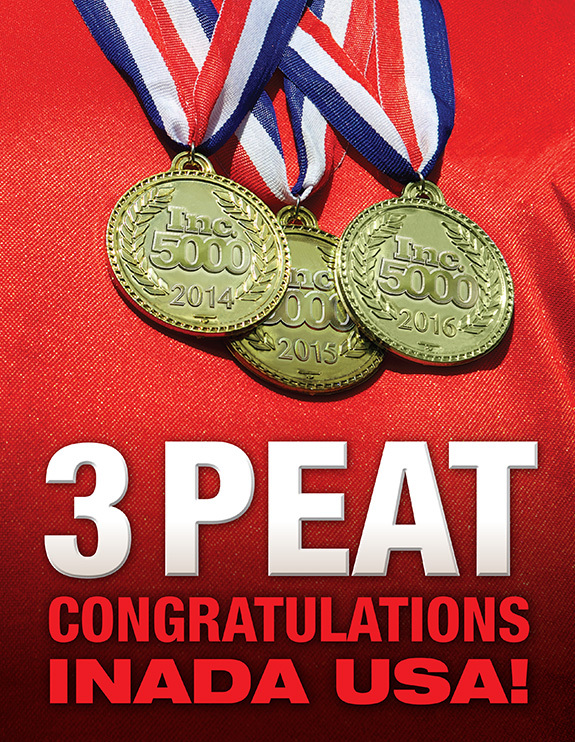 For the third year in a row, Inada USA has been named the the Inc. 5000 list of fastest-growing companies in America. Inada USA markets and distributes premium quality home massage chairs that combine shiatsu master massage movements with state-of-the-art Japanese engineering. These chairs have been recognized around the world for their innovative design, therapeutic benefits, exceptional product quality and industry-best warranty. Inada USA is ranked No. 3,062, an improvement over their position from last year. Fueled by strong relationships with back specialty stores across the U.S., the Japanese-made massage chairs have also developed an intensely loyal base of customers who find enduring relief from back and leg pain, rejuvenation from daily fatigue, stress reduction and relaxation from massage chair use. And TCA is thrilled to be a part of Inada’s success story, helping them build their brand, execute their digital strategy, and support their advertising and public relations efforts.